This is the fascinating, often turbulent, story of a great river, its great ships and the folk who built them. Nigel Sharp examines a number of beautiful, classic boats. Malcolm Fife explores Leith Docks between 1970 and 1980. A collection of previously unpublished images form the archives of the Hovercraft Museum. A history of trade on the Ouse with access to never-before-published, first-hand accounts of a bargeman's working life. 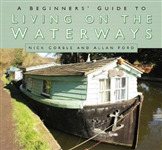 Fully updated this new edition of A Beginners' Guide to Living on the Waterways covers different types of liveaboard craft suitable for canals, rivers and estuaries, and the good and bad points of the different options. 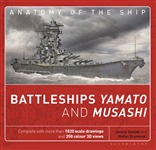 A uniquely detailed visual representation of a legendary Japanese warship.